Do you think that the way we dress or present ourselves reflects our personalities? A few months ago, a fairly small story surfaced about British Princess Kate Middleton and reality TV show star Kim Kardashian. That these two women would be involved in a single story is surprising enough – they are about as different as possible! Kate Middleton recently married Prince William, becoming a Princess and the Duchess of Cambridge herself. She has widely been regarded as a wonderful person to fill that role. She has a warm smile and a very classy style that many British citizens have expressed great approval of. Kim Kardashian, on the other hand, is best known as a reality TV star and frequently finds herself on the front of tabloids. Her fashion style is known for its flashiness and frequent immodesty. Our story happens when those worlds collide. Kim Kardashian sent Kate Middleton a gift of several outfits from a fashion line she designs called Kardashian Konnection. Kate politely thanked Kim for the gift, but sent the clothing back, stating that she preferred not to accept free gifts in her position as Duchess. Many fashion commentators have claimed that the outfits were likely sent back mostly because of their style. The Kardashian Kollection is characterized by low necklines, short dress lengths, and other features that the Duchess of Cambridge seems to absolutely avoid. Have you ever received a gift that you were not sure what to do with? What do you think about Kate Middleton’s decision to return the gift? Based on what you know, do you think that Kate Middleton is a good role model and example in her country? We often use royal language when speaking of Jesus. We refer to Him as the Prince of Peace, the King of Kings, and the scion of the royal line of David. But if we really want to understand Jesus’ kingship, we are going to need to reexamine how we define royalty. 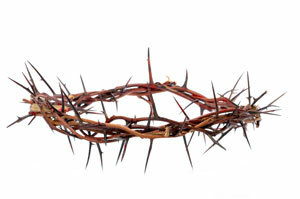 Throughout the Gospels, we see Jesus constantly turning royal imagery on its head. It begins with His birth. Consider the story of the nativity: When Jesus is born, shepherds and wise men travel from far and near to bow before Him and present Him with gifts. This is precisely what would have happened with the birth of an earthly prince. The child of a king would be visited by honored guests and presented with the best gifts after his birth. With the birth of Jesus, however, it isn’t the richest and most powerful who are invited to the court of the newborn King. Rather, it is the lowly shepherds and the foreign wise men. Already, Jesus is an unorthodox King – his court is made up of the poor and foreign! As if to emphasize the point, when Jesus makes his triumphant entry into Jerusalem, He does so in an unusual way. An earthly king, arriving in a city as a conqueror, would ride on the back of a magnificent mount (usually a stallion), showing off his power and wealth and demanding adoration from the people. With Jesus, the King of Kings, things are a bit different. Jesus rides in with great triumph, cheered on by the adoring crowd, but not on a beautiful horse. As predicted in Zechariah 9:9, Jesus arrives instead “humble and riding on a donkey”. What? A donkey? Why would the greatest King the world has ever known choose to make his triumphant march into Jerusalem on the back of a lowly donkey? Perhaps this is a message to us. Our Lord and Savior humbled himself in lowly birth in a manger, rode into Jerusalem on the back of a donkey and “humbled himself… even [to] death on a cross” (Philippians 2). Jesus was concerned with something far, far more important than the appearance of greatness. Instead, His mission was to those who needed him the most – the poor, the lame, the outcast, and those who felt that God’s love was too far away to reach. If Jesus could humble Himself to serve those in need in the world, then we are certainly called to follow his example. If you want to find Jesus, open your heart to a world in need – you will find Jesus there! How would the Gospels have been different if Jesus had insisted on being treated like an earthly king? How can you show the humble love taught to us by Jesus in your daily life? Use resources available on the ELCA website (such as those at https://community.elca.org/sslpage.aspx?pid=607) to plan an Alternative Gift Fair. In these events, congregational members can make donations on the behalf of a friend or family member, and this donation is offered as an “alternative gift” to that person. Many congregations find that these often make the most meaningful gifts they receive all year! Heavenly Father, help us to be your eyes in the world, looking out for those who are struggling or lost. Help us to be your feet in the world, carrying your message of love and good news to all of your people. Help us to be your ears, listening to the needs of those around us daily. And help us to be your hands, reaching out in joyous love to our brothers and sisters. Amen.